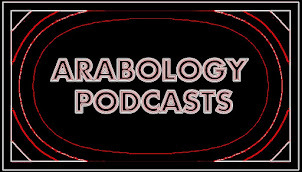 The Feb 27, 2014 episode of 'Arabology' features unique alternative/indie Arabic songs and mixes + a spotlight on the Arabic version of 'White Rabbit' from the 'American Hustle' soundtrack + a report on the 3 Oscar nominated Arabic films for 2014. Show also features a bio of poet Elia Abu Madi and one of his poems recited in Arabic, translated into English, then sung by Ghazi Abdel Baki. Playlist for Arabology Thurs, 27 February 2014 4- 6 pm DJ: Ramzi S.